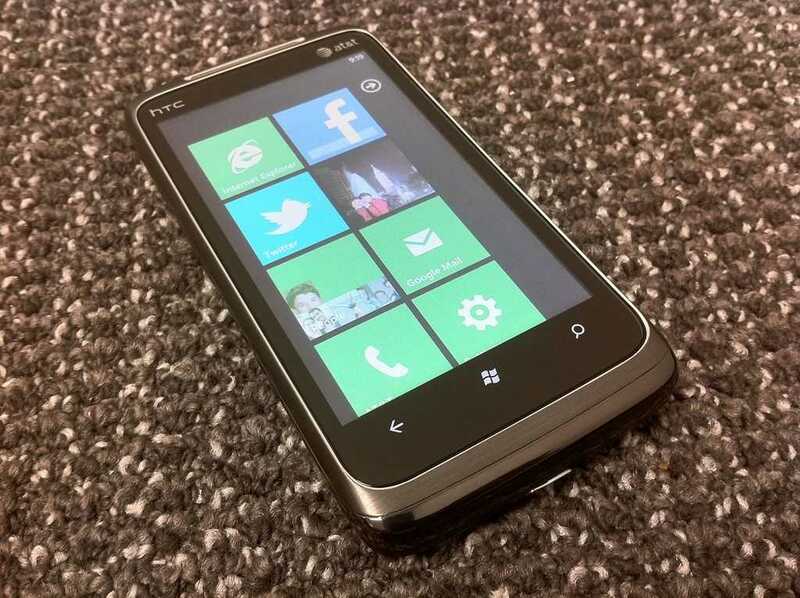 Tag Archive | "windows phone 7"
Microsoft wants to get in on the modern mobile OS action, and after the inevitable fall of their previous version of Windows Mobile, Microsoft has sought to restart their mobile offering, thus Windows Phone 7 was born. 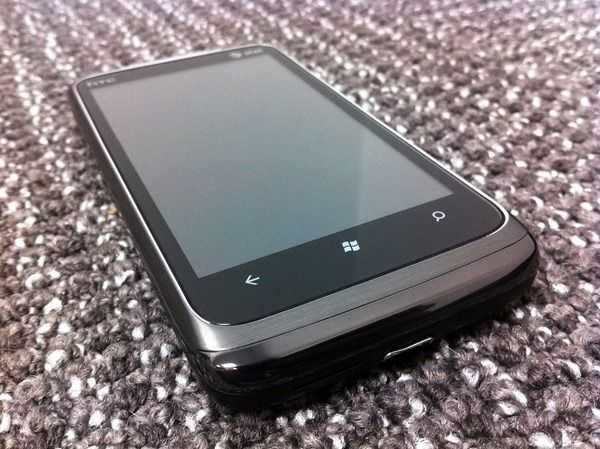 The HTC Surround pairs WP7 with well-built hardware and an interesting approach to phone audio, but will Windows Phone 7 be able to catch on, or is it too little too late from Microsoft? Let me start by saying that the HTC Surround feels great in the hand. It’s been too long since I tested a phone that had some real heft to it (in a good way). Recent phones (cough*Samsung*cough) have left me with a feeling of cheapness. The Surround however feels like a premium device right out of the box. Metallic accents are found all around the phone . The front is a combination of brushed and polished metal and has a wide ear-piece that fits the look of the phone well. The back is rubberized much like the Droid X [review], and it has just a hint of metallic sparkles in it that you’ll see if you hold it in just the right light. 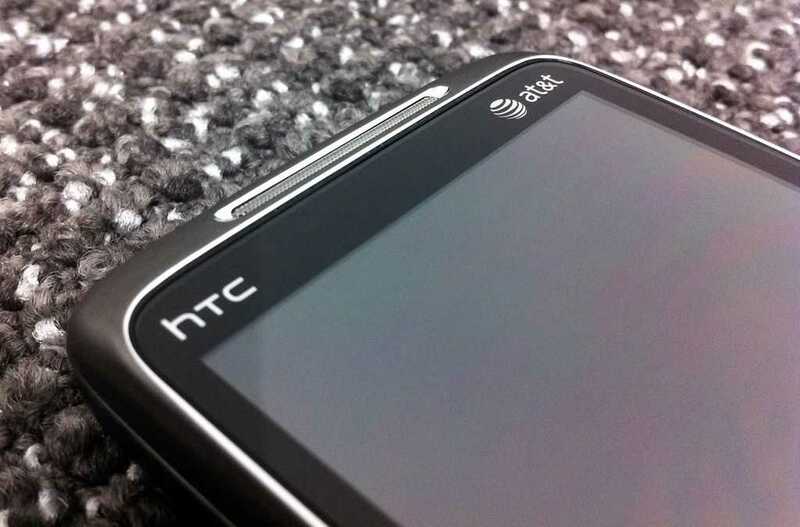 The back is also home to a polished HTC logo, and above that is the 5MP camera and single-LED flash, both of which are encased in a metal accent piece with small radial ridges that emanate from the lens. But this is all before sliding the device open which reveals a speaker bar that comes about 1/3 of the way out of the side of the phone. I’ll talk more about the speaker bar below, but on the design side of things I wanted to mention that the sliding mechanism could be better. I’ve definitely seen/felt worse, but the Surround’s sliding mechanism could use a bit of work to make it slide more evenly and have less wiggle. Despite the premium feel of the phone (considering the materials used and the weight of it), the buttons didn’t seem to receive too much attention. All physical buttons on the phone, except for the camera button, don’t provide very good feedback. It’s hard to tell when you’ve pressed the power/lock button. The volume rocker is a bit better with slightly more feedback, but the camera button is the only one that has enough â€œclick inch for my taste. The bottom of the phone has a pry-slot to pull the back cover off, but it generally feels like you’re on the brink of ripping the phone into it’s two sliding halves. I haven’t found a good way to get the back cover off without stressing the sliding mechanism in a way that it wasn’t design to move. If you are a road warrior who relies on swapping batteries during road trips, be weary of this fact on the Surround as repeated removals could lead to breakage. On general aesthetics of the device: I think it’s a good looking phone. When you make the investment to purchase a phone that will be with you for, perhaps several years, people should expect more than a piece of plastic. The Surround would feel even more solid if they rid it of the sliding segment, but despite this extra hardware, the Surround isn’t much thicker than many of it’s contemporaries. 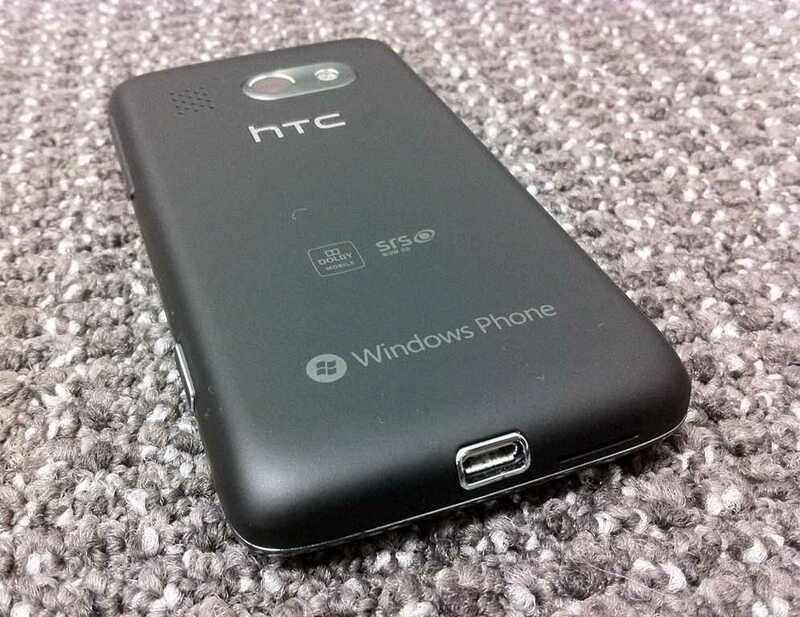 Yesterday I attended a Windows Phone 7 event hosted by HTC to showcase their new range of smartphones. It was a good evening and great to get hands on time with Microsoft’s latest foray into the ever changing mobile landscape. I’ve been posting snippets of my first thoughts and initial impressions on Twitter all day so if you don’t already follow me now is a good time to start. For those who don’t follow me here’s a summary of those thoughts and impressions. HTC have been in the smartphone industry longer than most realise and that experience shows in the new range of handsets. 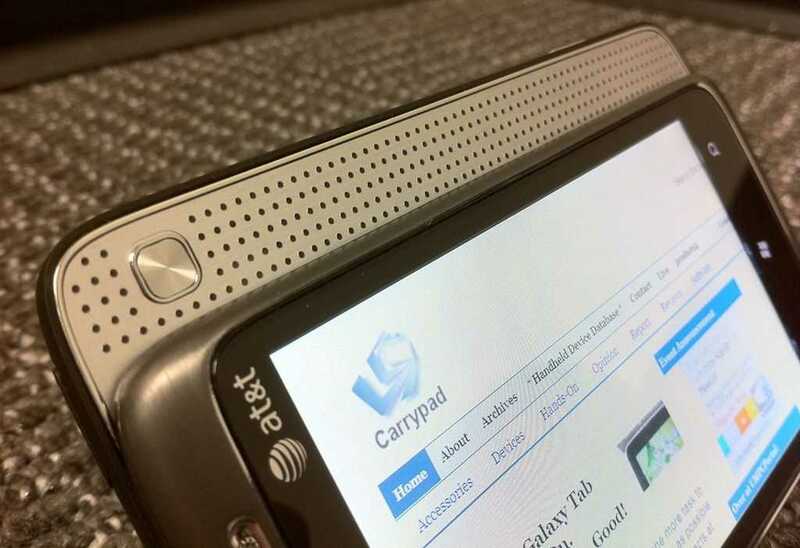 Overall quality is high, buttons have a definite press, devices look sleek and have a high end feel to them. On display was the flagship HTC HD7 with a big 4.3 inch screen, kick stand, stereo speakers and 16GB of on-board storage. The HTC Trophy with a 3.8 inch screen, 8GB storage and 5MP LED flash camera and finally the HTC Mozart, 3.7 inch, 8GB storage and 8MP xenon flash camera. The HTC Pro with its slide out QWERTY keyboard unfortunately wasn’t on display although we have it on good word that it will be available in Q1 of next year carrier unlocked, so if a hardware keyboard is important to you then hold fire on that contract renewal. The LCD screens on the Trophy and Mozart have excellent viewing angles comparable to that of the iPhone 4’s IPS display, they both produce good colour, much better than the contrast rich AMOLED screen in the HTC Desire. 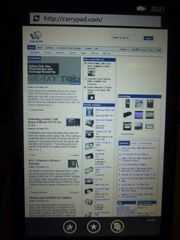 The HD7’s display isn’t as good and at a tighter angle loses colour. I tried each phones camera with and without flash and as per previous HTC smartphones the picture quality is nothing to write home about but acceptable for point and shoot situations. The Mozart’s 8MP sensor didn’t feel that much better than the 5MP sensor of the HD7 and Trophy but the xenon flash certainly lights a scene in a more natural manner, instead of leaving strong white areas in the centre of a picture. Obviously to see the full picture quality you would need to inspect the images on a computer with a higher resolution display. 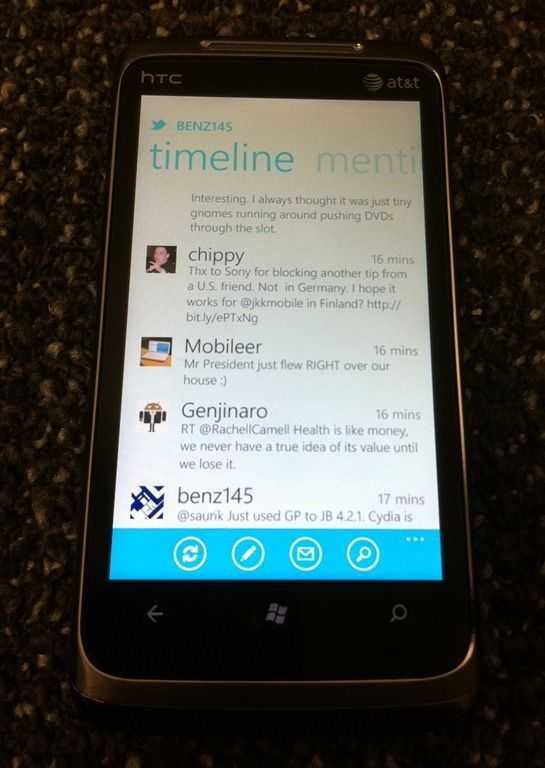 The first thing that strikes you when you pick up a Windows Phone 7 device is the slick interface, the animations between menus provide a feel of fluidity which isn’t present on any other mobile operating system. Once you have been navigating around the interface for a few minutes you then release everything you have just done came naturally without any trial and error pressing to get to where you want, it incredibly intuitive. After speaking to a number of Android fans and a couple of iPhone users, everyone was impressed by how easy it is to pick up and with no previous experience navigate around the device, something which Apple have specialised in since the birth of the iPhone. Media format support is also good with WP7 natively supporting H.264, Xvid, Avi and of course WMV. What the phone doesn’t support natively is converted on the fly when transferred through the Zune software, available on both PC and now Mac, a feature you won’t find on Android. I watched an Indiana Jones film which was encoded in H.264 medium profile on the HTC Trophy and playback was perfect with no dropped frames. Gaming too already feels ahead of the experience on Android. I played a number of games all of which had a very high quality feel, couple this with the tight Xbox Live integration and you make for a excellent gaming platform. The biggest disappointment for me is the browsing experience, whilst WP7’s browser is based on Internet Explorer 7 and its rendering is pretty speedy the lack of text reflow means on a small screen you will be doing plenty of panning around with a touch of zooming in and out. Its good to know then, that the pinch to zoom functionality is good and coupled with the fast rendering should mean until the all important first batch of WP7 updates come, the lack of text reflow shouldn’t hold you back. As we have come to expect from mobile browsers, there is no native file upload support and on the WP7 devices I used last night no flash support either, this is something that will change in future as adobe have announced flash support will come to WP7. Talking of updates, one of the interesting points HTC were keen to point out is that carrier branding is being kept to a minimum and Microsft are putting tight limitations on what carriers can modify on the stock operating system. One custom colour theme and the installation of a set number of applications is all that the carriers can effectively change which should minimise the amount of time it takes for updates to filter down from Microsoft, thus avoiding the level of fragmentation Android has seen. 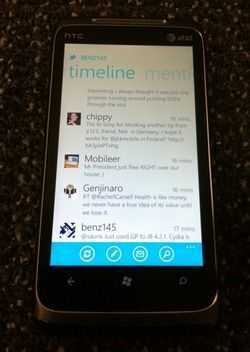 Its still early days yet and time will tell if that is the case or not for WP7. 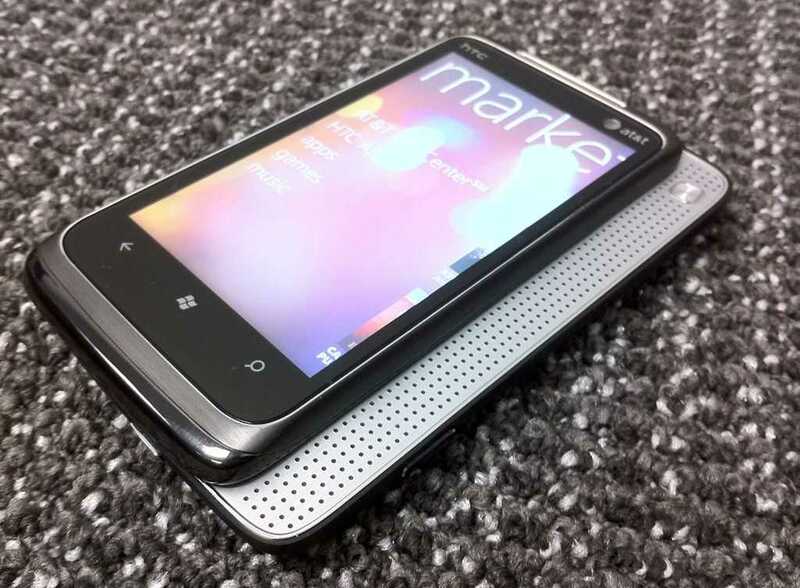 I think Windows Phone 7 has a lot to bring to the smartphone market, the interface is fresh, intuitive and like nothing we have seen before and I think it will make inroads into enticing normal phone users into the world of smartphones. For the more seasoned smartphone users I don’t think its yet ready to make them drop their Android, Apple or Blackberry devices. 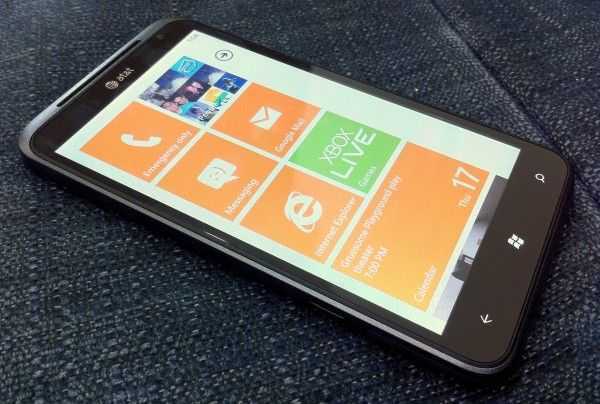 Its a great foundation for Microsoft to build on though and if one thing is for sure Windows Phone 7 will be a key player in a rapidly expanding market. 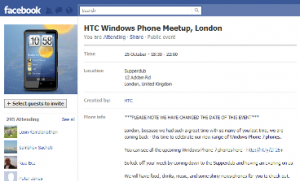 We haven’t covered much Windows Phone 7 news yet on Carrypad but today I will be heading off to London to cover the HTC Windows Phone 7 Meetup. HTC expect nearly 300 guests including both fans and journalists and of their range of Windows Phone 7 devices will be on display, including the HTC HD7, the HTC 7 Pro, the HTC 7 Mozart, the HTC 7 Trophy and the HTC 7 Surround. Its going to be a great opportunity to get some hands on time with the new devices and report back on my initial thoughts and impressions. If you are attending the event then make sure you come over and say hello. Windows Phone 7 Series, What Does it Mean for MIDs? I could tell you guys and gals all about Windows Phone 7 Series here (annoying name, isn’t it?) but the folks over at Engadget are already all over WP7S with plenty of great pictures and videos, so I’ll let them take over in that regard. What this post is here for, however, is to theorize what this may mean for the MID/MIDPhone segment. What’s interesting about Windows Mobile is that the OS has never really been featured on any modern media-centric devices that aren’t phones. Considering that the word â€œphone inch is actually in the name of Microsoft’s latest version of Windows Mobile, it’s unlikely that we’ll see it pop up in non-phone devices. Is Microsoft creating a silly artificial limit by dedicating this OS to phones? Possibly. I can’t imagine that they don’t want as much consumer mobile device market share as possible. Take Android for instance — it is the OS of choice on just about any MID (and plenty of phones as well) these days. As smartphones and MIDs continue to meld together, WP7S might just get edged out if they don’t open it up to other devices. Perhaps MS wants to protect the image of Windows Mobile this time around by only letting it run on approved devices to ensure a great user experience? We’ll have to wait to see exactly what happens, but I think MS will be running into a wall of questions such as, â€œWhat exactly constitutes a phone? inch, as we head into the future. 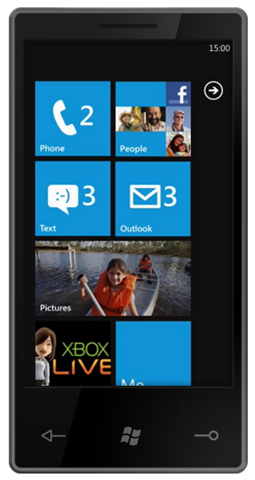 Will a device that relies exclusively on 3G for VoIP calling be considered a phone in Microsoft’s eyes, and thus be allowed to run WP7S?